Facing limited space and strict water directives, Koch Membrane Systems (KMS) upgraded the Woolston Wastewater Treatment Works near Southampton, England — providing increased production capacity without expanding the plant’s footprint. 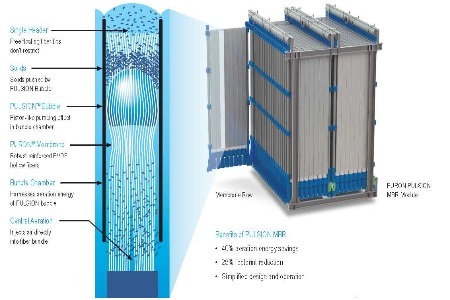 KMS, in cooperation with 4Delivery, replaced the Woolston facility’s existing conventional activated sludge system with the PULSION MBR ultrafiltration membrane — dramatically improving effluent quality by increasing nutrient removal and achieving nearly 100 percent bacteria and solids removal. As an added benefit, the plant's long-standing odor control problem was eliminated with the new system. For more than five decades, Koch Membrane Systems, Inc. (KMS) has led the way in developing innovative membrane technologies that serve a diverse range of industries and applications around the globe. KMS provides comprehensive membrane filtration solutions to many markets, including municipal, food and beverage, life sciences and industrial processes. KMS is focused on helping thousands of its customers to recover high value products, reduce their water footprint, increase productivity, and reduce costs. For more information, visit www.kochmembrane.com.